All About Real Estate Auctions: Are you ready for the bidding wars? The market is starting to turn, there’s talk of the “bottom” being reached and buyers are not such a rare commodity anymore. Now we are hearing about multiple offers and the start of bidding wars. It’s all great news, but there’s still a lot of inventory out there. How can you get your listings noticed? How can you negotiate with multiple buyers to achieve the highest offer for your sellers? One growing strategy is to create urgency and stimulate demand by using an online auction. 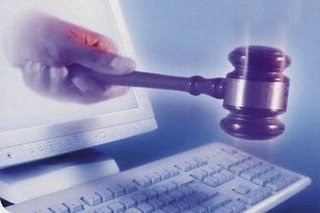 An online auction provides open competitive bidding to achieve the highest possible offer for your listing. There are still a lot of misconceptions about online auctions, so here are a few things you should know. Auctions don't force the seller to take the high bid - Auctions advertised as "absolute" force a seller to take the high bid. However, the majority of real estate auctions are done "subject to" seller confirmation. An auction does help capture the best sales price – Just like multiple offers on a typical MLS listing, an auction can yield the best price by creating competition. An auction does give you 3 chances to sell - Auctions create urgency and get buyers to act either before bidding opens, during the open bidding period or after bidding ends (if the high bid isn’t accepted by the seller). If you’re interested in seeing how Realtors are using online auctions to get buyers competing for their listings, click here to register for our FREE webinar on Thursday August 13h at 1pm CST.